Brief Tranquil shoreline on the Arabian Sea offering a concrete boardwalk & dark sand. Extra Breaking the flow of the white washed waves, the Tithal beach glimmers like a gold necklace that decorates the azure neck of the Arabian Sea. Facts Winters are by far the best season to visit Tithal beach. 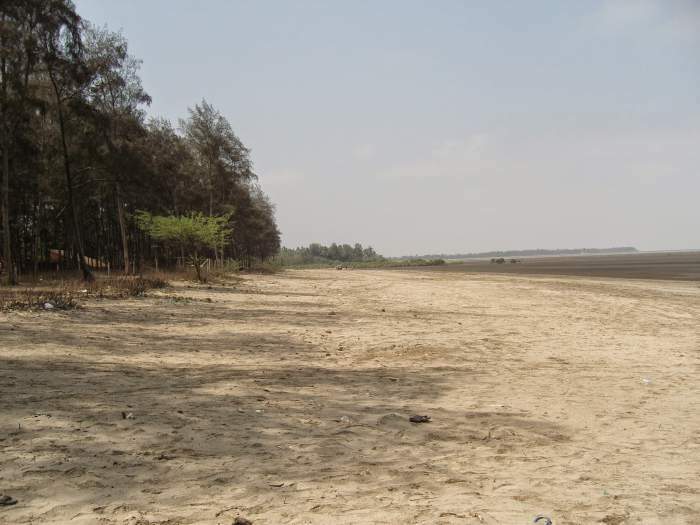 The greenery in and around the beach starts flourishing post monsoon and the water levels also stabilize. Tips Check the tidal timings before your visit to make the most of the beach trip. Brief Expansive beach offering a serene atmosphere, sunset views & several accommodation options. Facts Winter is deemed the best season to visit Dahanu as it has crisp air. People Love For Place This beach is quite attracting because of its cleanliness, fresh air and not much crowd. Quite a decent place to hang out with family or friends. Brief It is a major landmark of Diu and is carved with dedicated angels, lions and a priest. An artificial waterfall adds to its beauty. 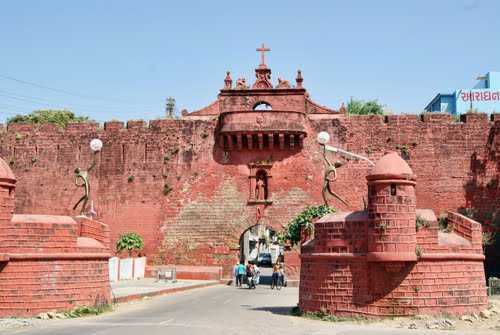 Extra Painted brilliant red, this fundamental town passage in the colossal city divider that sews in the west side of Diu has carvings of lions, heavenly attendants and a cleric, while simply inside it is a house of prayer with a picture of the Virgin and Child dating from 1702. Facts Zampa Gate shows footprints of Portuguese colony in city. It is another end of Diu city located near talkies and Sports Complex. People Love For Place Good architecture,the gate is very nicely built, drawings on the walls are also very nice. Tips Can be visited near sunset in order to get the best light for photography.